Of course, I had to fly to Texas to get a copy, but there on page 42 are two of our bouquets shot at Haiku Mill (FB) here on Maui. 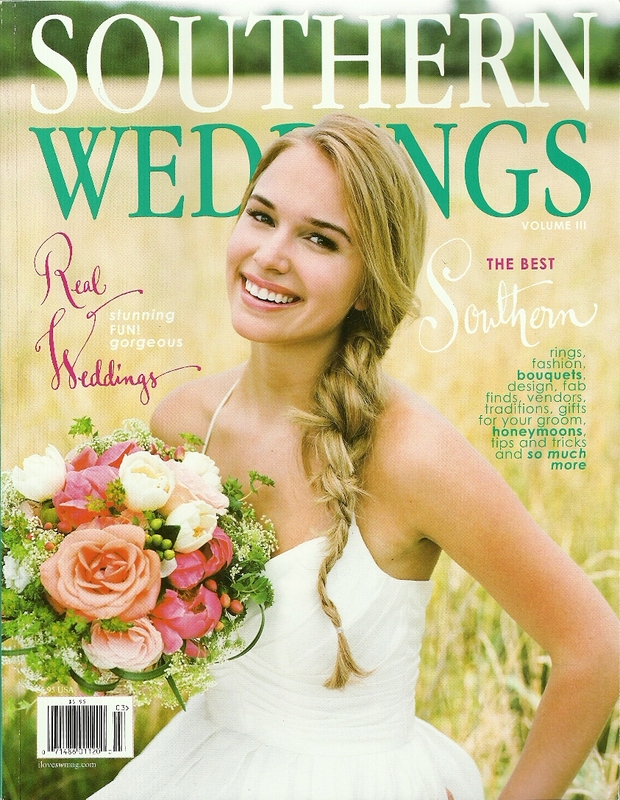 Now, I've seen my share of wedding magazines, and I have to admit, I really did enjoy this issue! 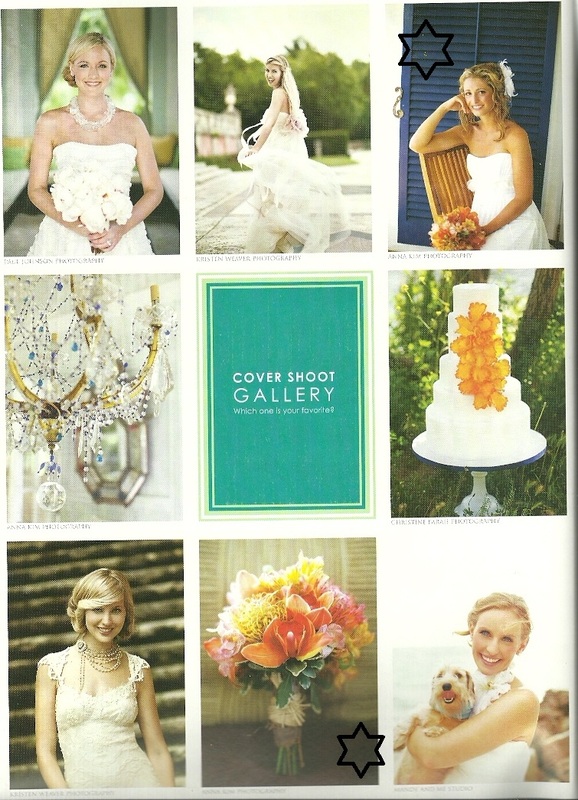 Great photography and layout and now some Dellables bouquets as well!